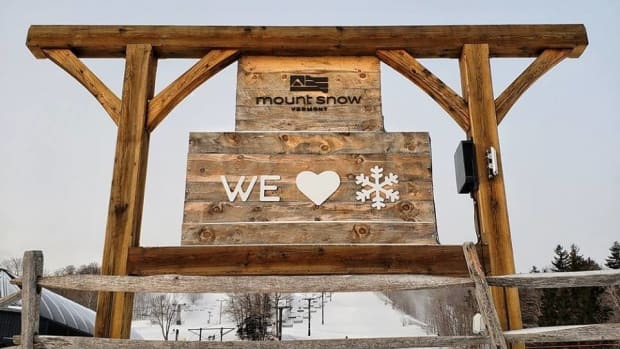 As parents, focusing on physical activities and spending time with our kids is our top priority. At MomTrends we recently had the opportunity to be a part of the GoGo squeeZ team for the 4th Annual Summer Streets Fair, an initiative that closes down the streets for seven miles in Manhattan and Brooklyn to allow people to play, walk, bike, and enjoy fun outdoor activities without any cars or buses. 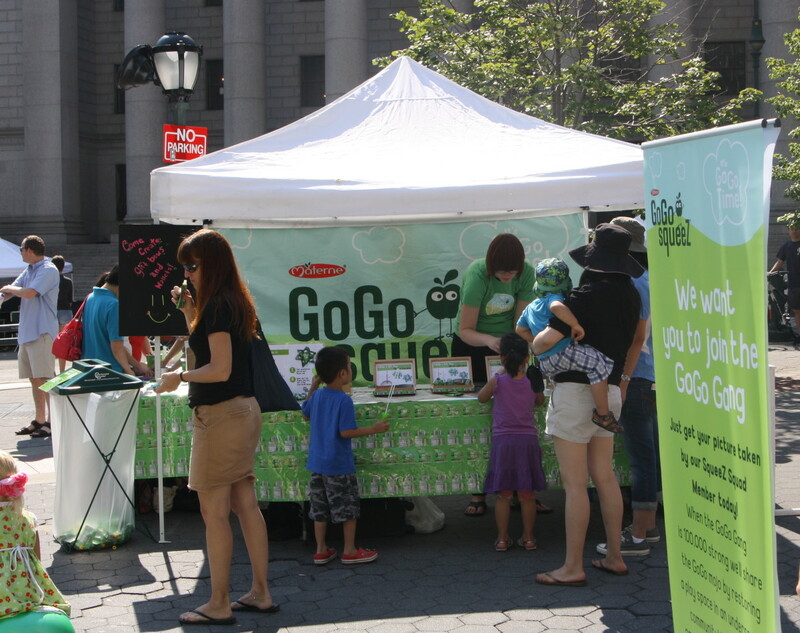 This open space was a fun way to enjoy everything from free music to art exhibitions to learn more about healthy snacking with GoGo squeeZ. 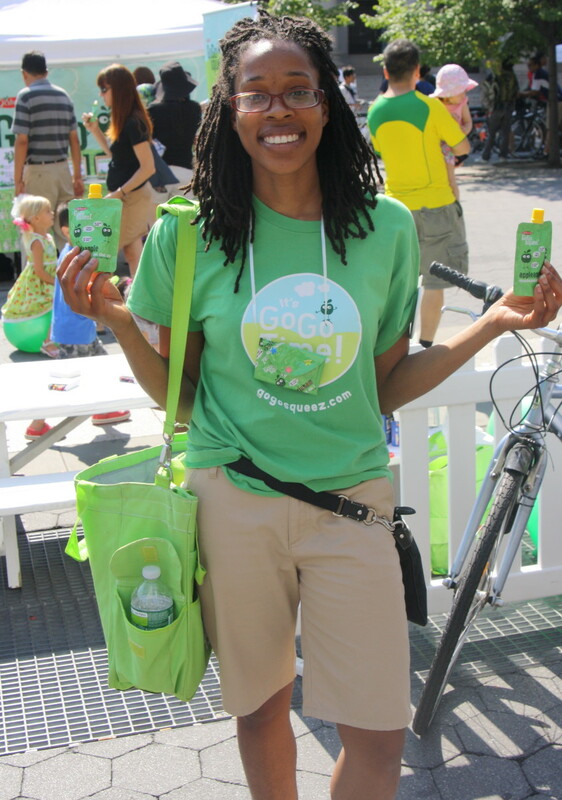 As a part of the GoGo squeeZ team Sherri and I were a mission to get the word out about GoGo Time or simply good, active fun and to talk to them about this healthy and wholesome snack option. 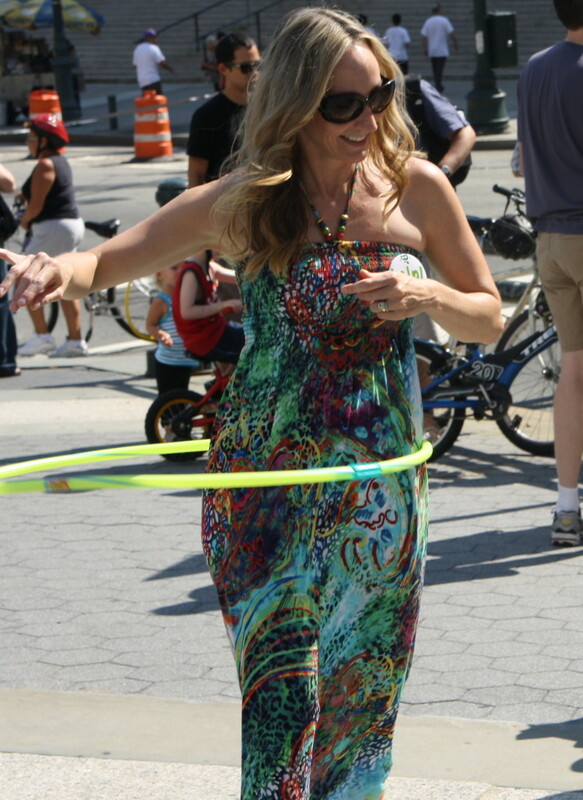 Located at Foley Square, the GoGo Free Play Zone included tons of games and fun activities like an interactive flip-book making station, an arts and crafts area where kids could draw and color, green balls for kids to bounce on, stations to jump rope and learn how to play double dutch and even a designated area to shake your hips through a hula hoop. There was defiantly no shortage of things to do at the Play Zone where kids of all ages were enjoying the free and stations set up by the Go Go squeeZ team. At the free play zone, the GoGo team also focused on going &apos;? 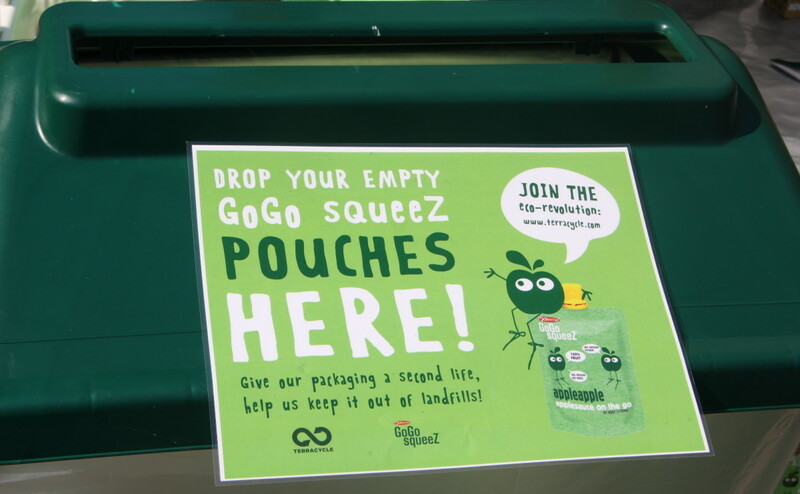 ?green&apos;? by supplying special recycling bins for the finished GoGo squeeZ containers and featuring an arts and crafts area where you could make a decorative bows and mini wallets out of pre-consumer GoGo squeeZ packaging. Sherri and I loved making these wallets, which I have been using a fun business card holder. There was even cool recycling projects on display like barrettes, a tote bag, a notebook and eco-speakers that were all made out of GoGo squeeZ wrappers! 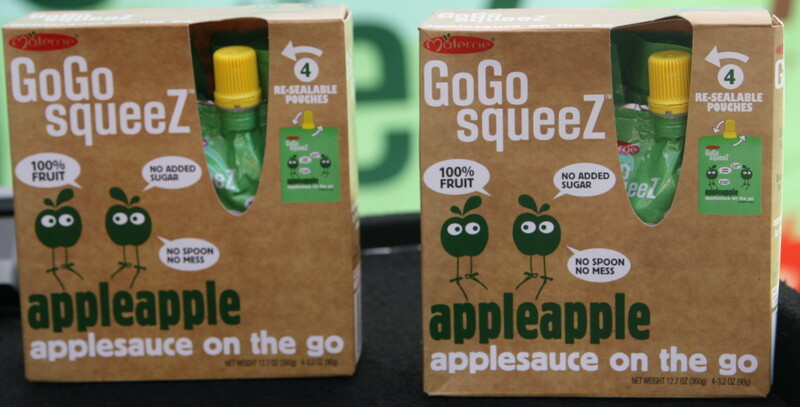 With no shortage of fun activities, the day also included a sampling of the delicious AppleApple variety of GoGoSqueez. 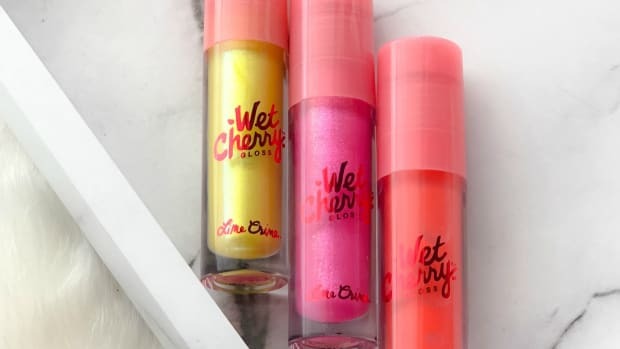 This all-natural treat was the perfect healthy snack for both kids and adults that were bopping around and enjoying the beautiful day at Foley Square. 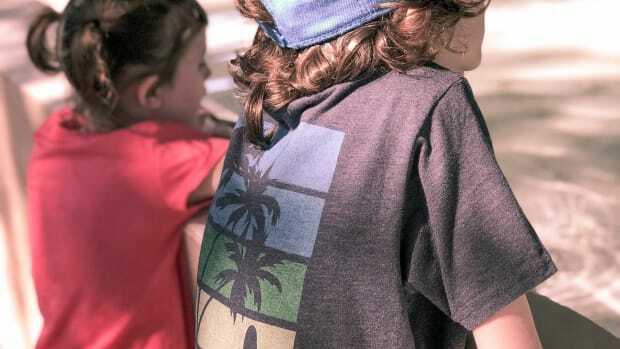 As a no mess snack filled with 100% real fruit, kids were loving this naturally sweet treat as they enjoyed an active day outdoors. 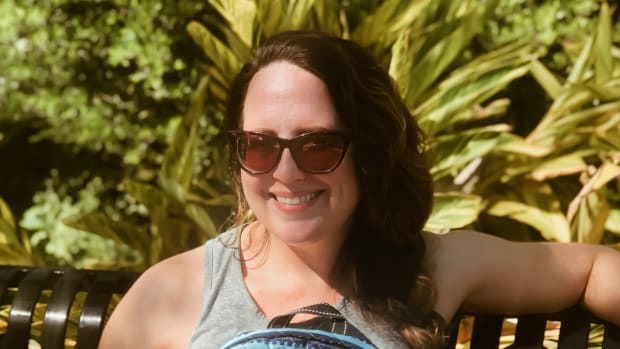 At the event, the parents that I spoke with also mentioned how exciting they were for the product mentioning how great it was for travel as well as a healthy snack for back to school lunches. 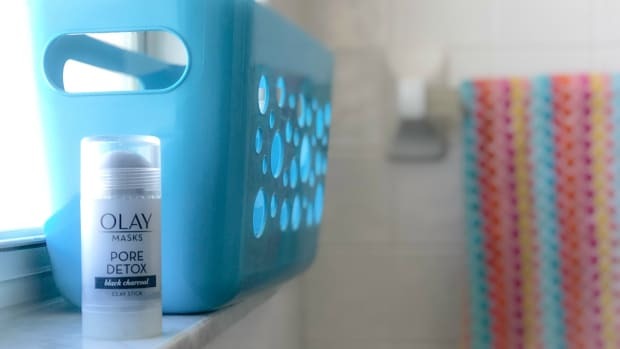 Sherri also remarked on how great this product would be in a school&apos;? ?s vending machine. 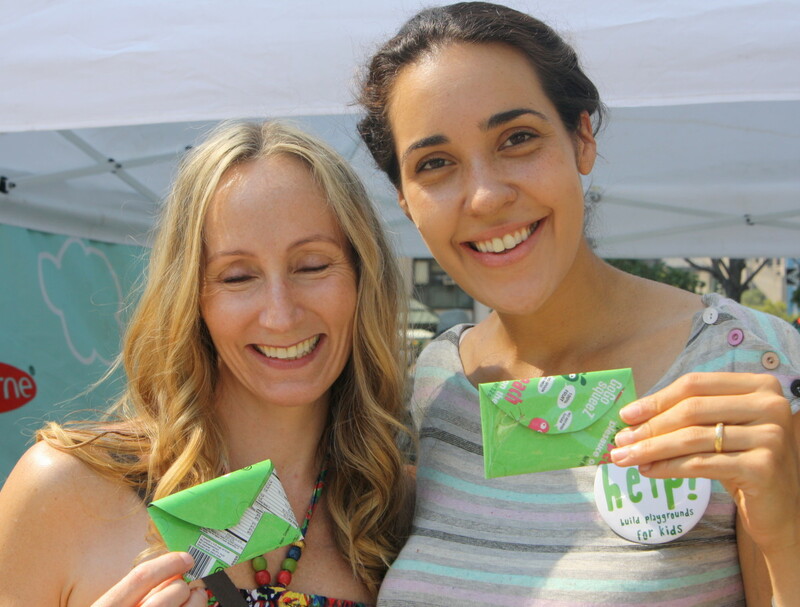 At the event we were also happy to spread the word about GoGo squeeZ and how they are giving back to the New York community by donating 2,000 snack pouches to City Harvest, a leader in food collection and donation to New York&apos;? ?s hungry. 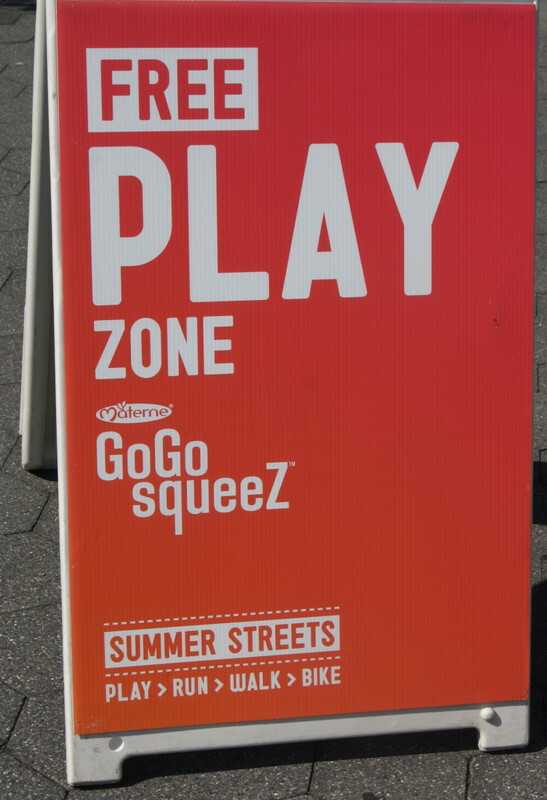 To celebrate the final week of Summer Streets, GoGo squeeZ also donated an additional snack pouch for every virtual Four Square check-in. 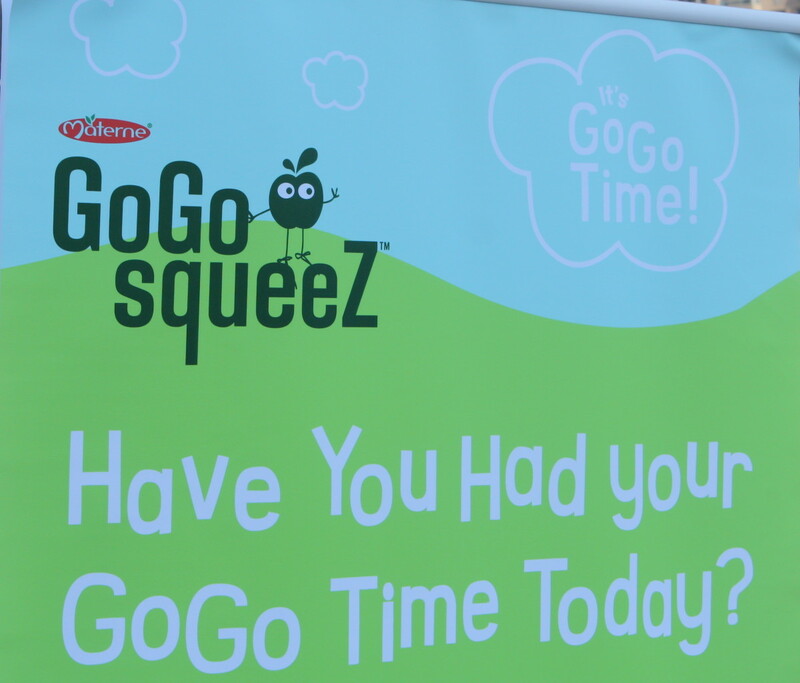 After a day packed with family friendly activities, families had a blast at the Free Play Zone and Sherri and I loved getting the word out about GoGo squeeZ and their mission for Go Go Time, active living and their healthy, wholesome snacks.